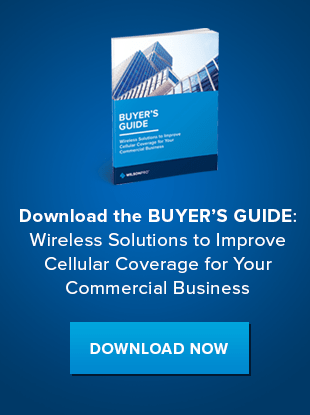 Cellular communication has become mission-critical in today’s business environment, but cell signals are unable to penetrate inside many commercial and other large buildings. This was, until recently, the case for one particular industrial building. A multinational specialty chemical corporation, with production plants in 24 countries and nearly two dozen sites in the United States, owns and operates a chemical production and R&D facility in a major North Carolina city. Each floor of their eight-story building is divided into separate sections for wet and dry chemical production. The entire building had inadequate cell reception inside, with the wet production area presenting a special challenge: The equipment in this area is sprayed down with water after each production cycle. All the flooring consists of metal grating, allowing the water to flow down through each floor to be collected and drained. This grating creates a Faraday cage that blocks electromagnetic fields, including cellular transmissions. Cell signal outside the building is quite strong at ‑50 to ‑65 dBm, but inside signal, at -95 to -110 dBm, was inadequate to complete phone calls and send and receive text messages. Employees at this chemical production facility count on cell service inside the building to send and receive work-related calls and texts. The company turned to Powerful Signal for help solving their problem. Powerful Signal has been improving cell service for industrial facilities and other large buildings since 2007. They exclusively use WilsonPro systems manufactured by Wilson Electronics, the leader in passive DAS cellular amplification technology. 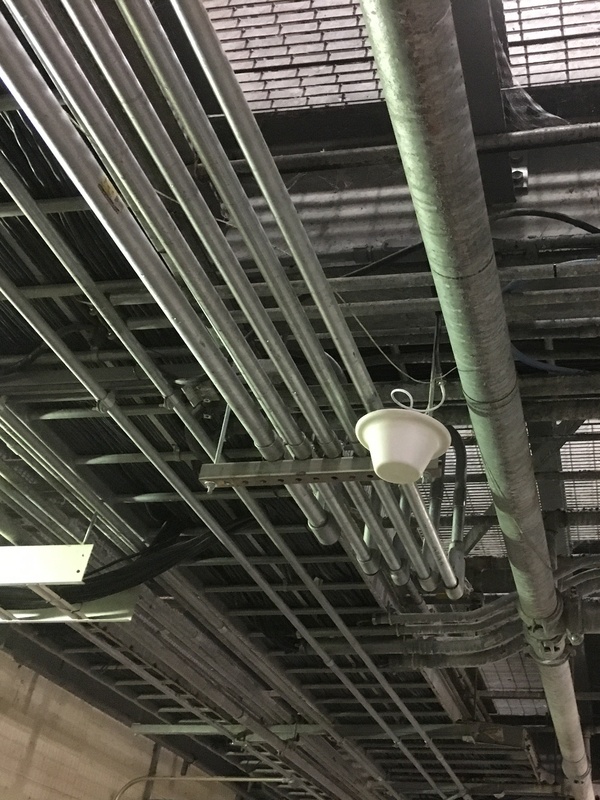 Solving this problem began with a walkthrough and on-site consultation by one of Powerful Signal’s professional commercial installers. The installer handed over his signal readings and site evaluation to a Powerful Signal design engineer, who created a custom passive DAS solution that provides the maximum inside cell signal coverage with the appropriate number of amplifiers, antennas, and other components. To deal with the presence of water spray, Powerful Signal’s team designed a custom waterproof seal for the inside dome antennas that would go in the building’s wet production areas. Once the proposed design was completed and approved by the company, the installer returned to the site to put in the system, working with the support of the facility’s on-site I.T. staff. Powerful Signal’s installed ProWay solution covers over 150,000 square feet across three-and-a-half floors of this chemical production building. Inside cell signal in the facility is now a strong ‑65 to ‑80 dBm. 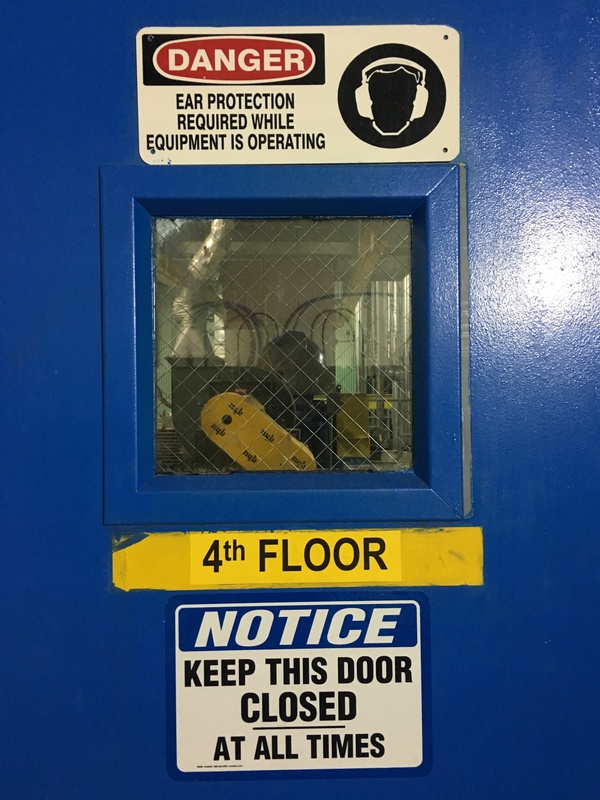 This company and its employees now use cell phones and other cellular devices inside the facility and receive free lifetime technical support for their WilsonPro system, something Powerful Signal provides with every solution they install. e-commerce site would not have been adequate. Industrial and commercial applications of WilsonPro cellular amplifier systems require professional experience and technical know-how, along with components that will meet building code requirements, to create a custom solution that resolves cell reception problems effectively. Powerful Signal has been doing this for over a decade, and can do it for your large building, industrial facility, or other commercial or government site. Contact Powerful Signal at WilsonProWay.com or PowerfulSignal.com.